At Standing Stone Kennels we believe it is important to take a positive approach when it comes to training dogs. We want to help each dog achieve its full potential. We do this by helping each dog individually, being patient and building on your dog''s success. We also understand that each dog is different and that a "cookie cutter" training approach won't work, therefore, we adapt our training methods to fit each dog. We develop your dog's natural instincts. It is important when looking for a new dog to find a breeder that is producing the kind of dog you are looking for. 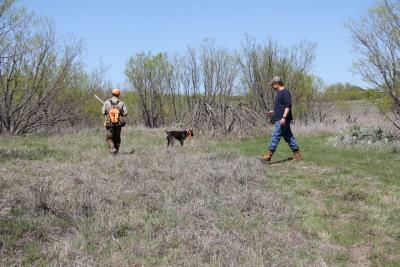 Finding the right breeder will help your dog's natural instincts be what you are looking for in a new hunting buddy. 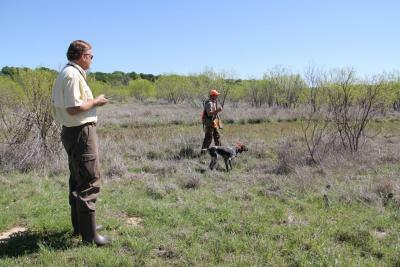 We love the versatility of our German Shorthairs, but train all dogs for a variety of opportunities. 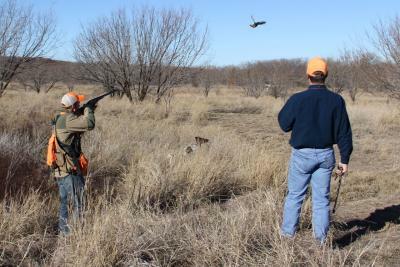 We train dogs for upland hunting, waterfowl, shed hunting or even obedience. We also do puppy training for dogs between the ages of 8 weeks and 6 months. We encourage testing in AKC and NAVHDA and can help get your dog ready. At Standing Stone Kennels, we treat your dog like family! "I knew Ethan was the real deal from the first few minutes of speaking with him. I was comfortable with the fact that he was well aware of the training techniques and commands used with my male setter, and could teach the same commands to my female. Ethan was very open about his philosophies and techniques, and answered every question I could think of with intellect and professionalism. Before I decided to use Ethan to train my female, I asked for and was given, contact information for a bunch of his previous clients. I called and spoke to every single one of them. The basic theme that I found after speaking to all of the references was that he and Kat were exceptional trainers, who cared about the wellbeing of the dogs under their care. Everyone told me how impressed they were with Ethan and Kat, and that they wouldn’t hesitate to use them again or recommend them to anyone else. The two references that really solidified my decision were a couple of older fellas who were hunting buddies and self-proclaimed grouse hunting nuts (as am I). They both had nothing but high praise for Ethan and Kat. They told me they were very discriminating hunters, and that every one of their expectations was met when working with Ethan and Kat. I am now another satisfied customer of Standing Stone Kennels. I am glad I listened to my gut feelings, and the countless references I contacted. Before I was a client, Ethan’s knowledge and professionalism was second to none. That same attitude has not waivered one bit since my dog left his care and returned home. I have never interacted with a more responsive, patient, caring, honest and knowledgeable trainer. 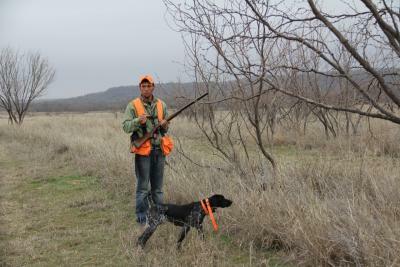 Sitka spent 3 months with Ethan working on all the skills to be a successful pointing dog for the average meat hunter. Ethan was up front with both the weaknesses and strengths of my girl. He trained her to the level he said he would, and returned her to me happy and healthy. I live in Alaska, so logistically speaking it can be a nightmare to get my dogs to a trainer. Ethan did everything he could on his end to help me with the process of getting my dog down to Kansas. We bought a started lab and hunted him his first hunting season. He proved a motivated retriever but was quite green. Ethan and Kat worked with him just over 3 months. The dog that came home was a mature and agile hunting dog. He was confident in his retrieve, able to cast and conduct multiple marks, and ultimately, well disciplined. Ethan took the time to learn the dog's personality and work with him based on his learning ability. I was impressed by Ethan's weekly calls and updates detailing the progress, challenges, and tailored training. He took the time to answer all questions, address specific requests, and ultimately, enhance our understanding of our dog's personality. I am looking forward to many hunting seasons with our retriever. I would never hesitate to send our future dogs to Standing Stone. Actually, we wouldn't send them anywhere else. Joe and I want to thank you for the tremendous job you did teaching Nellie her field work. We have been out 3 weekends in a row and she is consistently great!! Absolutely a joy to watch and shoot over. She just turned one year and handles herself like a much more seasoned dog in the field. Her natural ability is always present, but your training is as well. She stays nicely in range, which was a concern for us as first time GSP owners. It is absolutely NOT a concern. She points well ,holds steady till released , finds and retrieves her shot birds.She also can be called off a fly away, and redirected to hunt again. All of this with only an occasional vibrate on her collar. Nothing more ever needed. Again GREAT job teaching her. If anyone is wondering if the cost and time to send them for training at Standing Stone Kennels is worth it......It is well worth it. Wouldn't hesitate to buy a dog from you again. Happy to speak to anyone who wants a person referral. Again, thank you for a great dog and a job well done.